Almost exactly what we wanted - looks a little different in real life than in the photos. The crystals are a little smaller than I expected but it's still a lovely piece. Illuminate the stylish decor of your home with the beautiful Kimberly Pendant Chandelier. 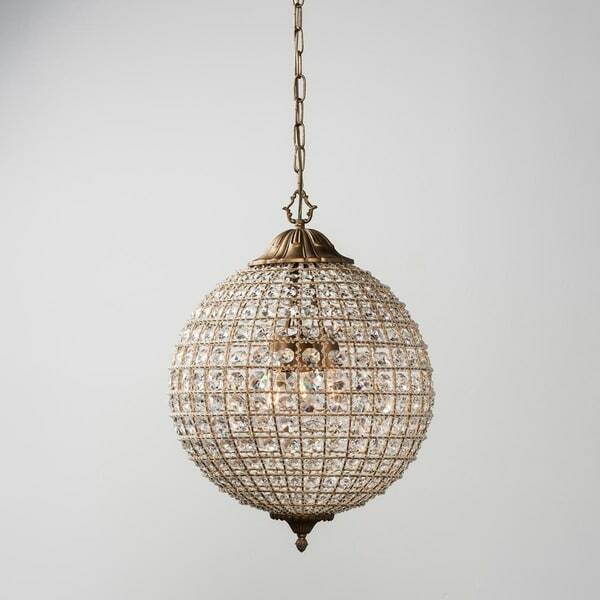 Handcrafted out of iron and individual hanging Chinese crystals with a bronze finish. This gorgeous chandelier will be a focal point in any room of your home. Professional installation highly recommended. To clean lightly dust with a feather duster or clean dry cloth. Dimensions 18.0 In. X 18.0 In. X 24.0 In. It is exactly what I have been looking for for my living room. It is the perfect combination of glam and vintage.